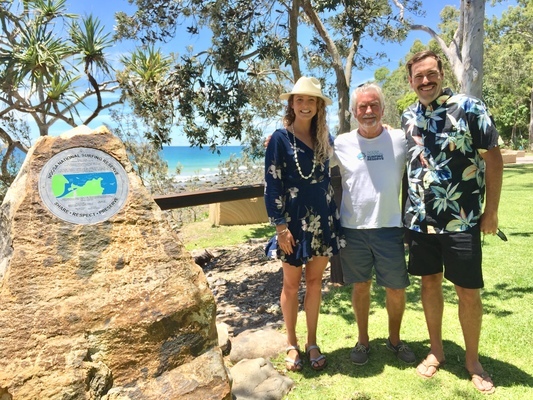 The 30-year-old tour veteran (since 2011, when he won Rookie of the Year) got his competitive start in club meets with the Noosa Malibu Club, then was unstoppable in the boys’ division at the Noosa Festival of Surfing, before changing to shortboards and winning a world junior title as a teenager. 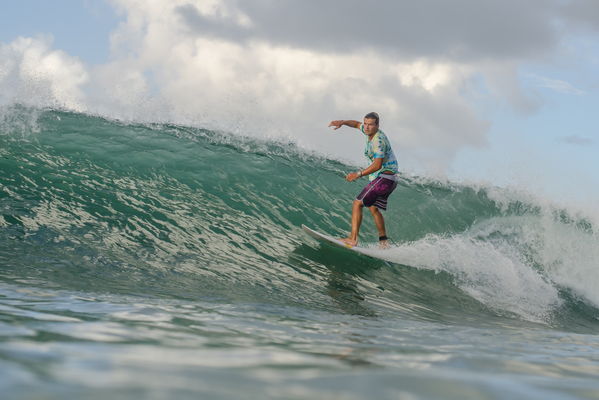 Although it’s now a decade since Julian last competed at the Noosa Festival (winning the Family Challenge with dad Mick in 2009), he still enjoys a longboard wave on the points whenever he’s home. 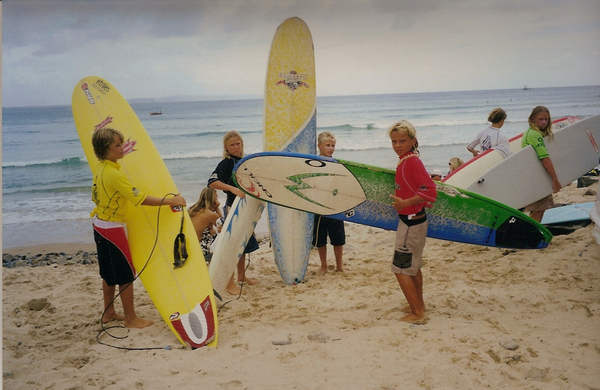 And the surfing Wilson clan, including mum Nola and older brothers Bart and Seb, remain a vital part of the history of the event and of surfing in Noosa. Since becoming a full-time World Championship Tour surfer, Julian has racked up five event wins, including the coveted Pipeline Masters and Hawaiian Triple Crown, and has frequently threatened to but has not yet delivered a WSL world title. In 2018 he achieved the highest ranking (#2) of his career, and took the world title fight into the final rounds at Pipeline before being pipped by his fiercest rival, rampaging Brazilian Gabriel Medina. A true insight into the strength of Julian’s character came in 2015, when his friend and multiple world champion Mick Fanning was attacked by a great white shark during the final of the Billabong Pro J-Bay in South Africa. As Fanning struggled, Julian didn’t hesitate to paddle at full steam towards the incident and a friend in trouble, without thought for the consequences. As Noosa World Surfing Reserve president, I couldn’t be more stoked to have Julian join our team of ambassadors. Fellow committee members Di Cuddihy, Libby Winter, Michael Court and I have watched him grow from boy to man, grommet to champion, and we know he’ll do us and Noosa proud. And all of us on the NWSR committee wish him every success on the 2019 world tour. Bring home the bacon, Jules!